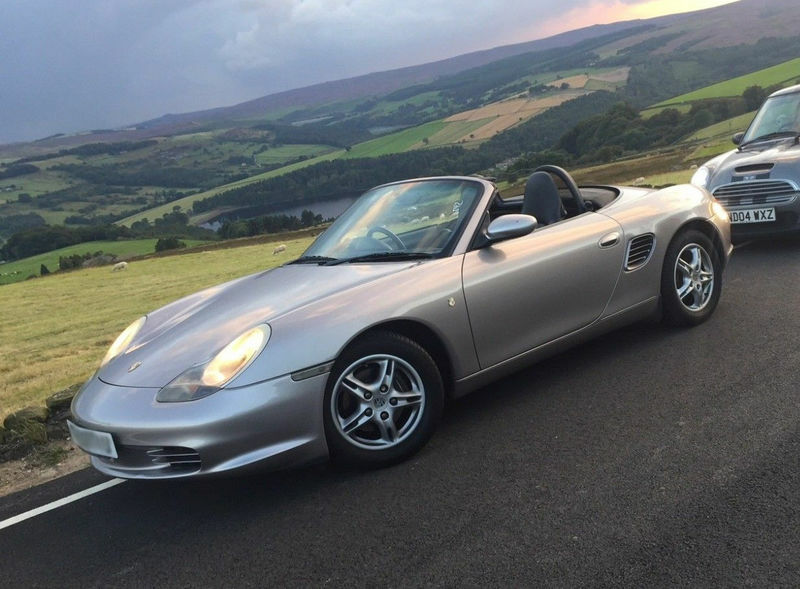 I've just today collected my first Boxster (and first Porsche, and first 2-seater sports). It's a 2003 2.7 manual with 73,000 miles on the clock. Bought it privately, which I know is a bit of a risk. I'm pretty good mechanically (my dad was a car mechanic, but now retired) but this is a bit of a step up from anything I've worked on before, so not sure how much I'll be able to do myself. Hoping it won't need much! You’ll be grand. Well wear! She's a beaut! And I love the backdrop.